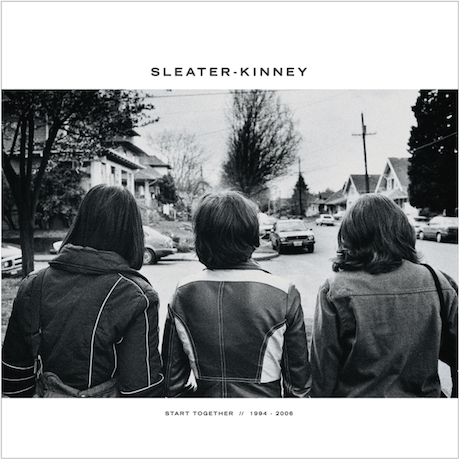 With Carrie Brownstein taking over Hollywood and Corin Tucker keeping busy in her super-Earth supergroup, it's unlikely that they'll resurrect their beloved Sleater-Kinney project again any time soon. Fortunately, however, the band have announced plans to reissue their entire catalogue in a massive box set. Called Start Together, the collection includes all seven of the group's albums: 1995's Sleater-Kinney, 1996's Call the Doctor, 1997's Dig Me Out, 1999's The Hot Rock, 2000's All Hands on the Bad One, 2002's One Beat and 2005's The Woods. For such ferocious music, it was actually a very delicate process. I found, in dealing with one of the earlier albums, that my signal path and compression, including my Burl B2 convertor, gave me a more resonant, deeper sound on the guitars than the originals. Because the band rarely, if ever, used bass, I felt that this added to the aggressiveness and power of the band overall. I believe this treatment added a subtle, yet important, dimension to the band, and I explored each of the other albums with the same intention. Above all, their music, from inception, stands the test of time for the cleverness and emotional impact they brought to their genre. All seven albums have been repressed on coloured vinyl. The box will also include a 44-page hardcover book and a limited print. Start Together will arrive on October 21 via Sub Pop. The albums will also be available on individual CDs and LPs that same day. The digital versions of the remastered songs are available on iTunes now.